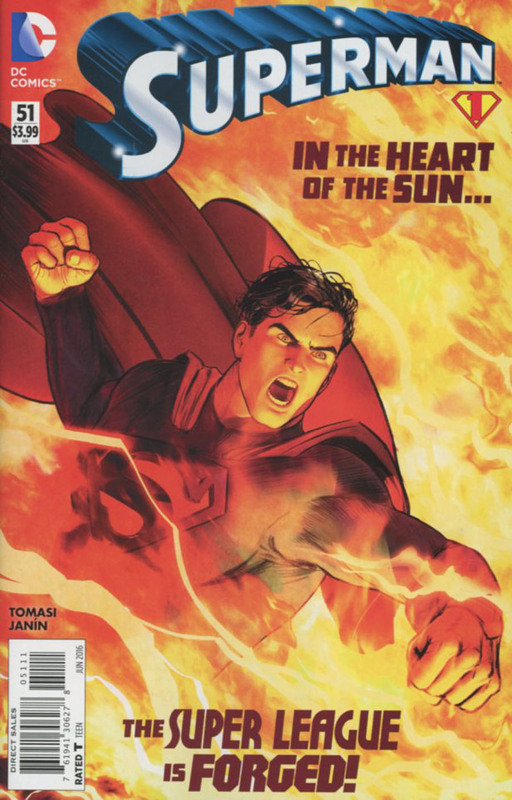 "The Final Days of Superman" - Part 1: "This Mortal Coil"
Variant Cover: John Romita Jr.
Superman is in his Fortress undergoing test after test while Krypto watches in sadness. No matter the test, the result is always the same: he is dying. With that realization comes anger, anger at the loss of time. He takes out his frustration on a medical droid, violently, and realizes he spooked his loyal hound, so he takes him to see his new sculpture. Jor-El & Lara raising Krypton and now Jonathan & Martha raising the Earth. Meanwhile in China, Dr. Omen aka Lilith Clay, is analyzing remnants of Vandal Savage's merged Superbase. With the Fortress, JLA Satellite and Stormwatch Carrier now all separated a security exploit has opened in the Fortress data banks allowing Dr. Omen to download information from Superman's computers. The Fortress discovers the breach and blocks it from fully completing, however it cannot determine the source as the merger by Savage caused integrity anomalies. To cheer up his master, Krypto presents Clark with his cape and Superman does what he does best, saving the day, multiple times. Later that day, Clark finds himself in Smallville and has a heart to heart with Lana. The reminiscing leads to Clark revealing his fate and requesting she oversees his secret burial next to the graves of the Kents. Back in China, Dr. Omen uses the data she has garnered on a glowing figure in a tube. In Minnesota, an escaped fugitive is recognized by a police officer and tries to escape. As he makes a dash in a pick up truck he sees a glowing spark of energy too late as it engulfs the truck in light, exploding on impact. Worried passers by stop to help but the fugitive climbs from the wreckage unharmed and exclaims that he is Superman, proceeding to pulsate with energy while sporting a glowing white 'S' Shield. Over in Metropolis Clark and Lois finally make peace, more than that, they become best friends once more. Lois Lane must write the full story on the life of Clark Kent and Superman! 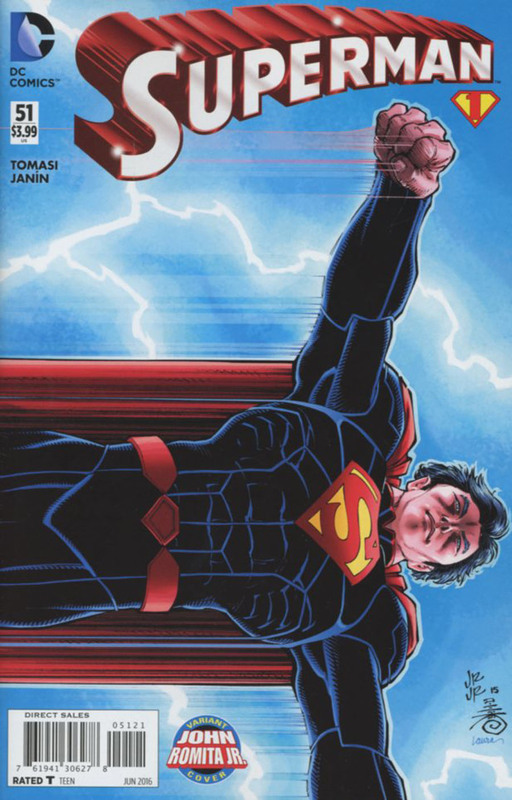 Story - 5: All hail Peter J. Tomasi. I'm not kidding. This issue was exceptional. I want to really go on about this issue but I'm inviting you, the Superman fans, to converse with me about it in the comments. The characterizations were perfect. From Lois Lane to Krypto everyone felt just right. This is also the first time since the New 52's inception that Clark Kent was... familiar, that Superman acted like Superman. After everything Clark has endured... after all WE have endured... it is heart wrenching that he is dying, mostly because if Superman was written like this in 2011 then there would be no need to kill him off to 'fix' him. This tragic Superman finally has me gripped. Art - 5: I discovered Mikel Janin when I picked up Grayson and always thought that he was a perfect fit for the art in Superman. I can't express how ecstatic I am that he is on board. The script left much of the emotion to be conveyed in the art. That first page, while just a profile is breathtaking and those scenes with Lana and Lois... were fantastic. It was good to see Krypto too. The art like the writing struck a cord with me. This is my favorite issue of Superman in a long time. I am now optimistic of Superman's future and I haven't felt that way for a long time. Cover Art - 5: AGGH! What the hell are you doing to me? Are you trying to make my head explode with wonderment? I love this cover, its proclamations are just making me anxious for more. Personally I could have done with a more muted color palette but that's me grasping for a reason.